Extra Shopping Mall is Presenting Special Eid Offers for TV Lovers. Samsung, Panasonic and Sony all are the names of Warranty and have its own Identity. Here is the more Detail of this Hot Offer. 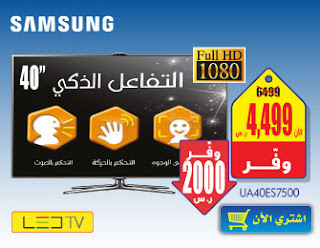 You may also other LCD and LED TV Prices at Saudi Prices Blog.